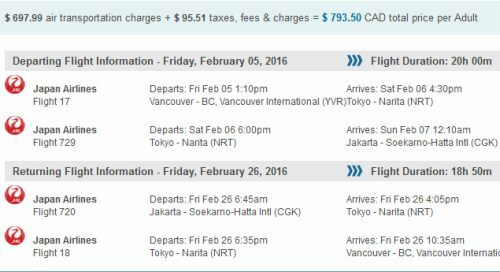 Japan Airlines has dropped the price of their Vancouver - Jakarta, Indonesia flights down to $784 CAD roundtrip including taxes. Flights between Jakarta and Bali are usually pretty cheap ($50-$70). Where to stay in Jakarta ? The following AirBNB links will lead you to some great deals on places to stay in Jakarta for under $60 CAD/night for 2 people. vancouver, yvr, flight deals, asia, southeast asia, japan airlines, indonesia, jakarta and cgk. 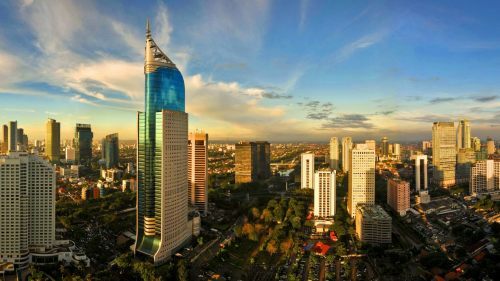 2 Responses to "Vancouver to Jakarta, Indonesia - $784 CAD roundtrip including taxes"
Anyone know where to get the $50-$70 flights from CGK to DPS (Bali)? Best I can find is $129CAD for the flight.